Wireline operations are part of special services during the completion and production of oil and gas wells to serve several purposes like equipment transport, swabbing, reservoir evaluation, logging, well intervention, perforation, pipe recovery, downhole tool setting, and bailing. They include both electric and slickline operations. What is the difference between electric lines and slicklines? electric cables for placing and recovering wellbore equipment like gauges, plugs, and valves. They can also be utilized for tubing repair in the wellbore and for valve and sleeve adjustment in the downhole. How to prevent masts or booms from toppling over? It is always important to install foundations, guying, and outriggers according to the recommendations of the manufacturer. A co-worker was suddenly exposed to an unexpected release of pressure. What are the possible steps to be done? Install a pressure-release valve in the lubricator sub before bleeding pressure from it. Break the connections and look out for an unusually tight connection. It may indicate that pressure has not been released. What are the measures that could be implemented to minimize hand injuries and sprains? Encourage workers to practice proper hand placement and taglines to prevent pinching hands. If possible, minimize handling lubricators and other equipment manually to avoid overexertion. Well logging is the identification and recording of information regarding subsurface geologic formations. It includes well bore properties; mud records; cutting analysis; drill stem tests; core analysis; and electric, acoustic, and radioactivity procedures. Tools utilized for well logging include mechanical, electrical, radioactive, and sonic tools. 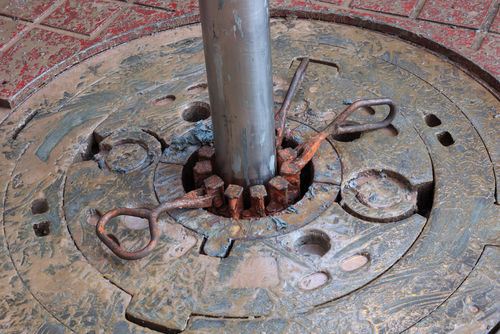 What are the potential hazards of well logging and how to prevent them? As mentioned, some tools can expose a worker to radiation. Injuries could also occur due to unexpected release of pressure. It is very important to ensure that workers wear appropriate personal protective equipment (PPE). Logging personnel who are duly authorized and qualified should only be allowed to handle logging tools. Should any radioactive tools be damaged, report immediately. Keep non-essential workers away from the rig floor and marked-off areas of radiation hazards. Permit approval rates in Cameron County have only reached a high of just over 9 permits approved. This happened in 1998. The second highest record of permit approvals in the county happened in 1990 and 1992 when 9 permits were approved on each year. The last year that permits were given out was in 2013 when two permits submitted by the Esenjay Operating, Inc. and Sanchez Oil & Gas Corporation were approved. In the previous years, Waters Eng. & Operating, Inc. AND Western Gulf Oil & Gas, LLC were among the companies that filed permits in the county. Oil production in Cameron County has gone on a downward spiral since 1993 when more than 1,900 barrels of oil were produced. In fact, in 2002, no oil was produced in the county at all. This has been the case in the past two years as well. In the county’s history, some 130 operations have entered into its territory. At present, there are no oil leases in the county. 008380 ADOBE OIL & GAS CORP.
018890 AMERICAN PENN ENERGY, INC.
029340 ARCO OIL & GAS CO.
033860 ASAMERA OIL (U.S.) INC.
091093 BRIDGE OIL COMPANY, L. P.
125946 CALPINE NATURAL GAS COMPANY L.P.
125944 CALPINE NATURAL GAS L.P.
131850 CARL OIL & GAS INC.
151600 CHRISTIE ENERGY CO., INC.
161700 COASTAL STATES GAS PROD. CO.
179825 CORPUS CHRISTI OIL & GAS CO.
192055 CULBERSON WELL SERVICE, INC. The peak of Carson County’s permit approval occurred in 1997 when over 40 permits were approved for that year alone. Only the spike in permit approvals that occurred in 2014 has come close to this record. For last year, just 10 permits were approved. For this year, over 35 permits were approved. As for oil production, it peaked in 1993 when the county produced more than 574,300 barrels of oil. Ever since, the production in the county has gone down to an average of around 344,580 barrels of oil. For this year, the production went down to just over 114,860 barrels. Since the start of the county’s operations, around 489 operators have gone into its territory. The top leases include the Bednorz “B” Oil Lease #005031; Burnett –K- Oil Lease #003804; Dawkins Oil Lease #005578; Fee -244- Oil Lease #000106; and Schafer Ranch Oil Lease #000142. 953678 3 W OIL, INC.
953729 3-G OIL & GAS, INC.
000139 A & B WELL SERVICE INC.
005920 ADAMS, K. S. JR.
039780 B & B FARM INDUSTRIES, INC.
072639 BLACK GOLD ENERGY CO. 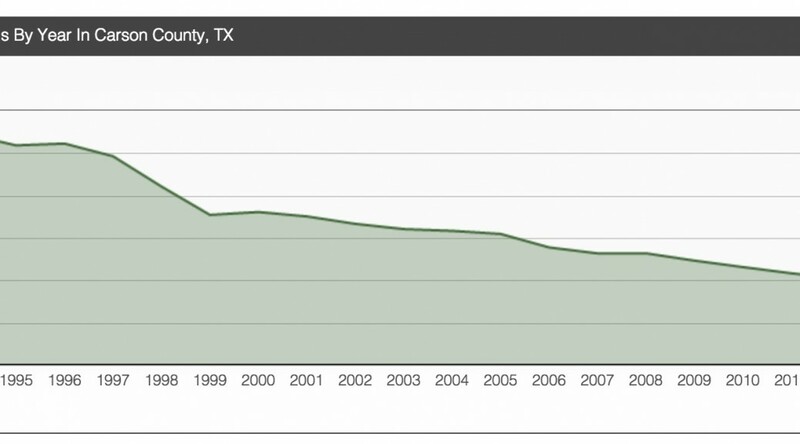 Permit approval in Chambers County has been erratic at best since the start of its operations in 1990. The highest permit approval rate came in 1997 when more than 100 permits were approved. The lowest permit approval that has been recorded with only 20 permits approved was in 2009. This year, permit approval soared to more than 60 permits. The top companies that have filed permits in the county for approval are Samson Exploration, LLC; Linc Gulf Coast Petroleum, Inc.; and Denbury Onshore, LLC. Meanwhile, the highest oil production recorded in the county occurred in 2013 when more than 2,577,175 barrels of oil were produced. The lowest recorded production occurred in 2009 when only around 515,435 barrels of oil were produced. In its entire history of operations, some 766 operators have gone into the county’s territory. 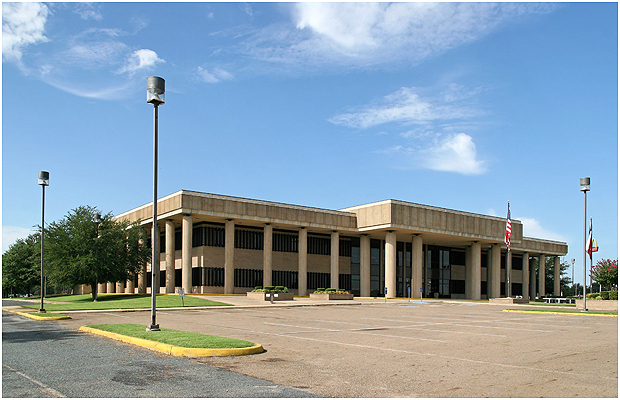 The top leases in the county include the Chambers County Agr. Co. Oil Lease #000170; Fitzgerald, L. E. Unit # 1 Oil Lease #000191; Gallo Oil Lease #026272; Kirby Per Co. Oil Lease #000156; and Kirby Pet. Co. –B- Oil Lease #000194. 003594 ACOCK ENGINEERING & ASSOC., INC.
016859 AMAX OIL & GAS INC.
018007 AMERICAN COASTAL ENERGY, INC.
018900 AMERICAN PETROFINA CO. OF TEX. 027466 APEXCO EXPLORATION & PROD., INC. The highest recorded permit approval rate in Childress was in 1997 when more than 4 permits were approved. In 2005 and 2008, just 4 permits were filed. In 2014, one permit was filed and disapproved. This was filed by LMH Energy. Other companies that filed permits in the county were Corlena Oil Company and Annavas Development Co., LTD. In 2009, the county listed its highest production at more than 36,900 barrels of oil for that year alone. For this year, production has gone down to just 7,380 barrels of oil. This is almost at the same level as the county’s worse production years on 1993 to 1999. Since the start of its operations, around 50 operators have gone into Childress County’s territory. The top leases in the county include the Coats Oil Lease #007190; Jouett Oil Lease #007866; Key, A. Oil Lease #007355; Lock Unit Oil Lease #007093; Perkins Oil Lease #007045; and Sharp Oil Lease #007456. 025626 ANNAVAS DEVELOPMENT CO., LTD.
341553 H & S PRODUCTION, INC.
806184 SOUTHWEST GAS EXPLORATION CO.
919515 WHITEHEAD PROD. CO., INC.
Who is an oil and gas waste hauler? Any person who transports oil and gas waste for hire by any method other than pipeline, such as hauling flowback water via truck. What is oil and gas waste? Waste resulting from activities associated with the exploration, development, or production of oil or gas. Oil and gas waste includes salt water, brine, sludge, and drilling mud. It also includes waste materials generated during drilling, operation and plugging of wells such as domestic septage and trash. 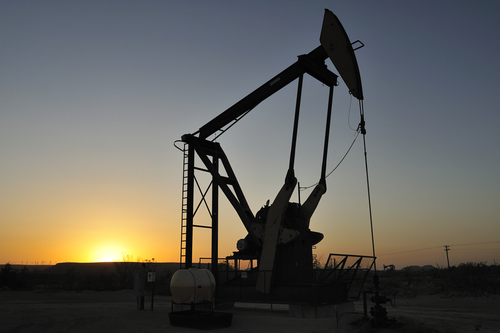 What permits are needed for oil and gas waste haulers? Oil and gas waste haulers must file Form WH-1: Application for Oil and Gas Waste Hauler’s Permit with the Railroad Commission of Texas (RRC). The application must be approved and a permit application fee must be paid. Haulers must register and properly mark their vehicles. Each vehicle must be operated and maintained in such a manner to prevent spills, leaks and other discharges during transportation. A copy of the permit must be kept in each vehicle as identified in the permit application. Oil and gas waste haulers must keep waste manifests to document proper disposal of wastes. You can download the application form (WH-1) and other applications from the RRC website. Based on the waste hauler FAQ guidance at http://www.rrc.state.tx.us/media/8672/waste-hauler-2012-faqs.pdf, forms WH-2 and WH-3 are also required. Where is disposal of oil and gas waste allowed? Oil and gas waste haulers must ensure the waste is disposed of at an authorized facility. The disposal facility used by the hauler must be documented in the waste hauler’s permit. Waste generated from oil and gas operations may be disposed of at authorized RRC facilities or certain TCEQ regulated landfills. In order to dispose of oil and gas waste at TCEQ Municipal Solid Waste (MSW) landfills, the waste generator must obtain a special waste authorization by completing and submitting Form 00152 to the TCEQ. Contact your local TCEQ regulated landfills for specific information on types of waste they are permitted to accept. Transporters and generators must keep manifests to document proper disposal of waste. More information regarding disposal regulations is available in TCEQ’s publications titled Disposal of Special Wastes Associated with the Development of Oil, Gas, and Geothermal Resources (RG-003) and Common Environmental Requirements for Regulated Oil and Gas Operations (RG-482). State and local agencies are authorized to ensure compliance with applicable waste hauler regulations. 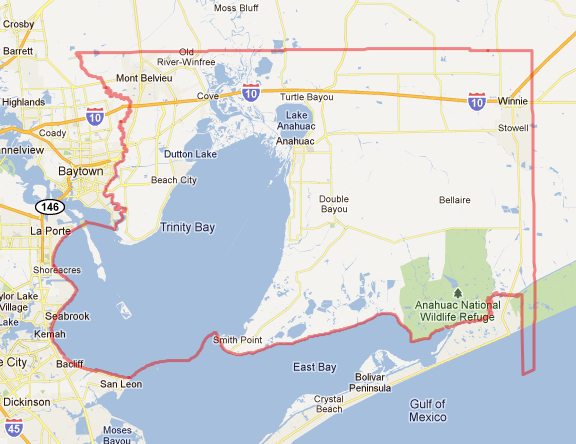 State agencies with jurisdiction include: Texas Department of Public Safety, TCEQ, and RRC. County sheriffs and city police departments may request compliance documentation from waste haulers and are authorized to issue civil and criminal penalties, which may include monetary fines, and may impound unauthorized or improperly operated vehicles. How are truck wash facilities regulated? The TCEQ regulates rinsate from vacuum trucks generated at commercial service company facilities such as truck washing operations, or companies that provide equipment, materials, or services to the oil and gas industry if the facility is not operated by an RRC-permitted waste hauler. 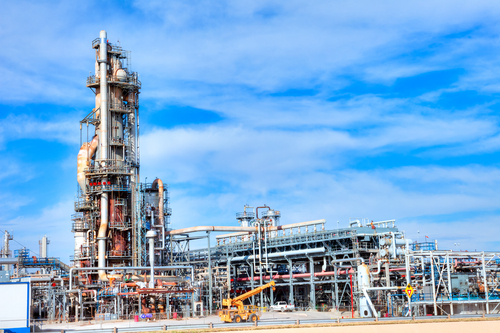 Examples of commercial service company facilities include facilities that provide drilling and work over rig rental and tank rental services, equipment repair services, drilling fluid supply services, and acidizing, fracturing, and cementing services. 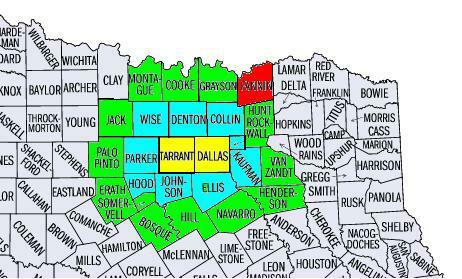 Permit approval rates in Bowie County have only reached a high of just over 9 permits approved. This happened in 1990 when permits were first handed out. The second highest record of permit approvals in the county happened in 1997 when 9 permits were approved. The last year that permits were given out was in 2012 when two permits submitted by the SDG Operating Company, Inc were approved. In the previous years, Carr Resources, Inc.; Sunray Operating Company LLC; Hamman Oil & Refining Company; and Smith Operating & Management Co were among the companies that filed permits in the county. Oil production peaked at two points in the county’s history. First was in 1993 and the second was in 1997 with a production of over 250,875 barrels of oil for each year. Since then the production has trickled down to below 50,175 barrels of oil a year. In the county’s history, some 108 operations have entered into its territory. The top leases include Adams Oil Lease #012070, Ashford Oil Lease #012102, Bentley Oil Lease #012687, and Langley Unit Oil Lease #012341. Questions and concerns frequently arise when owners of residential property in suburban and rural areas discover that oil and gas operations are being conducted in the vicinity. Although the Railroad Commission of Texas generally lacks jurisdiction over these issues, the information below is intended to provide general answers to some of the most common questions. Under Texas law, land ownership includes two distinct sets of rights, or “estates”: the surface estate and the mineral estate. Initially, these two estates were owned by the same person and they may continue to be owned together by one person. 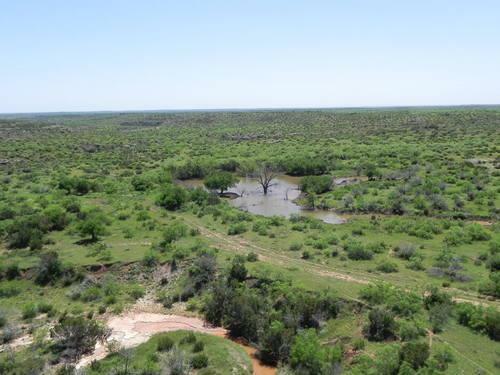 However, in many areas of Texas, especially those where there has been extensive historical oil and gas development, it is common for the mineral estate and surface estate to be owned by different people. The division, or “severance,” of the mineral estate and surface estate occurs when an owner sells the surface and retains all or part of the minerals (or, less commonly, an owner sells the minerals and retains the surface). If an owner does not expressly retain the minerals when selling the surface, the mineral estate he owns automatically is included in the sale. Lessees have broad rights to use the surface for the purpose of exploring for and producing oil and gas. These rights include the right to: conduct seismic testing; drill wells at locations they select; enter and exit well sites and other facilities; build, maintain and use roads for access to and from well sites and facilities; build and use pipelines to serve wells and facilities on the property; use surface and subsurface water on the leased premises for drilling and production operations; and drill and operate injection wells to enhance lease recovery and dispose of lease-produced water. With the limited exceptions discussed below, the lessee has the right to conduct the activities set out above and otherwise reasonably use the surface without getting permission from the surface owner and without restoring the surface or paying for any non-negligent damages it causes. However, if a lessee’s use of the surface is found to be negligent, unreasonable or excessive, the lessee may be liable to pay damages to the surface owner for the resulting injury. The general rules regarding free use of the surface to benefit the mineral estate may be changed by the specific terms of the mineral lease covering the property or of the deed that severed the mineral estate from the surface estate. In addition, many cities have municipal ordinances restricting oil and gas activities on property within city jurisdiction. The rights of the lessee may also be limited by the “accommodation doctrine.” This legal doctrine applies in limited circumstances to require the lessee to modify its operations to accommodate an existing surface use when reasonable alternatives are available. In specific circumstances in counties in or near large metropolitan areas, developers can impose restrictions on drilling and operation sites by creation of a qualified subdivision as provided by Chapter 92 [http://www.statutes.legis.state.tx.us/Docs/NR/htm/NR.92.htm] of the Texas Natural Resources Code. The best method of controlling oil and gas development by a surface owner is the purchase of all or a significant portion of an undivided interest in the mineral estate. This allows the surface owner to control the timing and terms of any future leases. However, purchase of the mineral estate is not always possible or practical. In the alternative, although under no obligation to do so, a mineral interest owner may be willing to agree to include surface use and surface damages clauses in future leases. If the mineral estate is already under lease, the surface owner may wish to contact the lessee company to attempt to negotiate an agreement restricting use of the surface or agreeing to set damages for surface use. Although there is no legal requirement to do so, a lessee may be willing to enter into a reasonable surface use/damages agreement to avoid potential disputes. This document is provided for general information purposes only as a service by the Railroad Commission of Texas. It is not legal advice and is not a substitute for legal advice. For specific questions and situations, it is strongly recommended that you consult with an experienced oil and gas or real estate attorney. Permit approval in Calhoun County peaked in 1990 when more than 50 permits were approved for that year alone. The lowest recorded approval rate in the count occurred in 2010 when just under 10 permits were approved. The approval rate this year is just a little better with an approval of 6 permits out of the 11 filed. The companies that filed the most number of permits in the area include Bopco, L.P.; Taos Resources Operating Co LLC; Magnum Operating, LLC; and Formation Resources LLC. 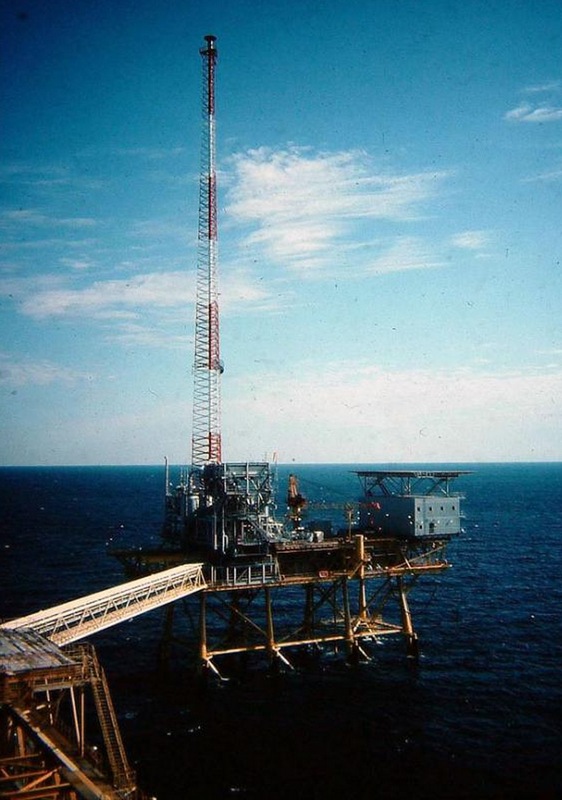 The highest production in the company occurred in 1993 when more than 567,450 barrels of oil were produced. This number, however, has been on a decline ever since, with the worst performance in terms of oil production occurring this year with a production of only 113,490 barrels of oil. Since the start of its operations, some 543 operators have gone into its territory. The top leases in the county include the Bennet, W.H. Oil Leases #007419 and #000703; Dunwoody, Charles Oil Lease #000691; Hahn Oil Lease #008795; and P.W.L.R. Oil Lease #008703. 011160 ALBRECHT, PHIL A., JR.
012360 ALEXANDER PET. CONSULTANTS, INC.
012214 ALEXANDER, HERBERT R. INC.
016975 AMERADA DIV., ARERADA HESS CORP.
019720 AMERICAN TRADING & PROD. CORP.
020760 ANCON OIL & GAS, INC.
049150 BARBER OIL EXPLORATION, INC.
054700 BASS ENTERPRISES PRODUCTION CO.
068620 BHP PETROLEUM (USA) INC.
072523 BISON ENERGY PARTNERS, INC. Permit approval in the county has been erratic at best since the start of its operations in 1990. The highest permit approval rate came in 1997 when more than 120 permits were approved. The lowest permit approval that has been recorded is this year with only 12 permits approved out of the 23 that were filed. The top companies that have filed permits in the county for approval are Oxy USA Inc.; EOG Resources, Inc.; Tecpetrol Operating LLC; and Suemar Expl. & Prod., LLC. Meanwhile, the highest oil production recorded in the county occurred in 2006 when more than 301,625 barrels of oil were produced. The lowest recorded production occurred this year when only around 120,650 barrels of oil were produced. In its entire history of operations, some 454 operators have gone into the county’s territory. The top leases in the county include the Alexander /400 Ac./ Oil Lease #002046; Bennet, Betsey “B” Oil Lease #013300; Bennet Mills Estate Fee Oil Lease #012672; Betsy, Bennet “D” Oil Lease #013307; and Galindo-Kibbe Unit Oil Lease #013845. 015724 ALTA VISTA EXPLORATION, INC.
034680 ASHLAND OIL & REFG. CO.
035530 ASSOCIATED OIL & GAS CO.
063744 BELLOWS, DEWEY OPER. CO., LTD.
064140 BENDIX FIELD ENGINEERING CORP.